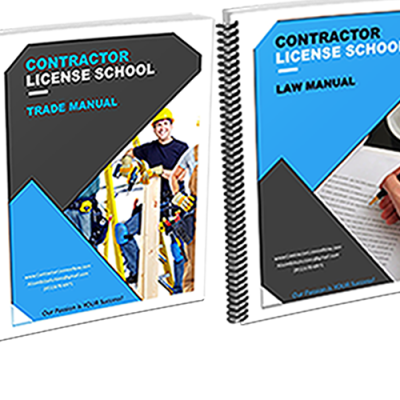 Getting your General B “General Contractors” License may be easier than you think. The only pre-requisite–in other words, the only thing you have to have–is four years of experience doing General B type of work. (General B work is ‘rough carpentry’–I’ll past a more informative definition below, but most-likely, if you’re on this page, you know what a general b contractor does). If you have a bachelor’s degree, then the state only requires two years of experience in the trade. Okay, so you have the 4 years. What’s next? In order to get the license, you have to send off an application to the state of California. On the application, you have to have someone sign off for you–usually you’ll want this person to be your employer, former employer, supervisor, or business associate. The state will receive your application and then give you a test date because you must pass two tests with the state in order to receive your license. One test is on construction law. The second test will focus on the trade (in your case, the General B). Now, technically speaking, you don’t have to attend a contractor school like ours. You can simply take the tests without going to any classes, but it is highly recommended that you go to classes because otherwise you may have difficulty passing the tests. 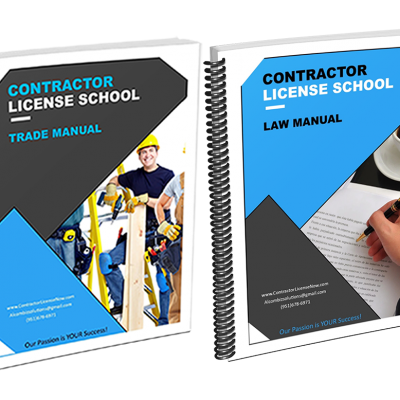 The trade test will probably be the easier of the two because you already have experience in construction, but the law test may prove more difficult (and is usually the one that contractors struggle with) because it’s written by lawyers and includes topics such as contract law, bonds and liens. Even taxes. Yeah, it’s tough stuff. 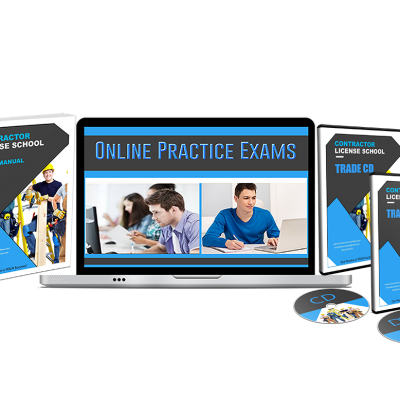 Our program will provide with the classes and all the materials you’ll need to be able to pass both the tests. If you want to attend our classes in-person and go through our program that way, see our locations and times. If you don’t live anywhere near our classes, you can always take them online. With our online program, you still get everything you need to pass those tests, sans the in-person classes. But you will be able to access pre-recorded classes online. What about bonds?–you may ask. Don’t you have to have a bond? 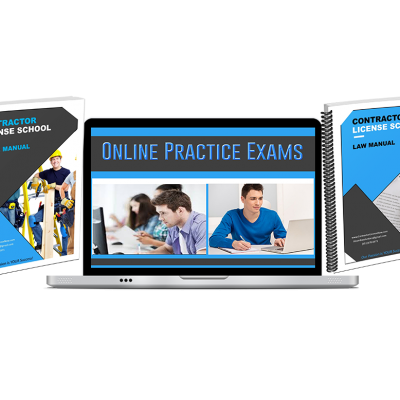 Other than attending classes and sending off that application in order to take the tests there are a few additional small steps to get your contractors license. We have a detailed page about that on our website if you want more info on that. Give us a call if you want to set an appointment and sign-up. Or enroll for our classes online. You can either enroll for the classes at one of our locations, or you can enroll for our online course. Here’s the definition of the General B Contractor from CSLB themselves (CSLB–the Contractor State License Board, AKA, your future overlords). (c) No general building contractor shall contract for any project that includes the “C-16” Fire Protection classification as provided for in Section 7026.12 or the “C-57” Well Drilling classification as provided for in Section 13750.5 of the Water Code, unless the general building contractor holds the specialty license or subcontracts with the appropriately licensed specialty contractor.